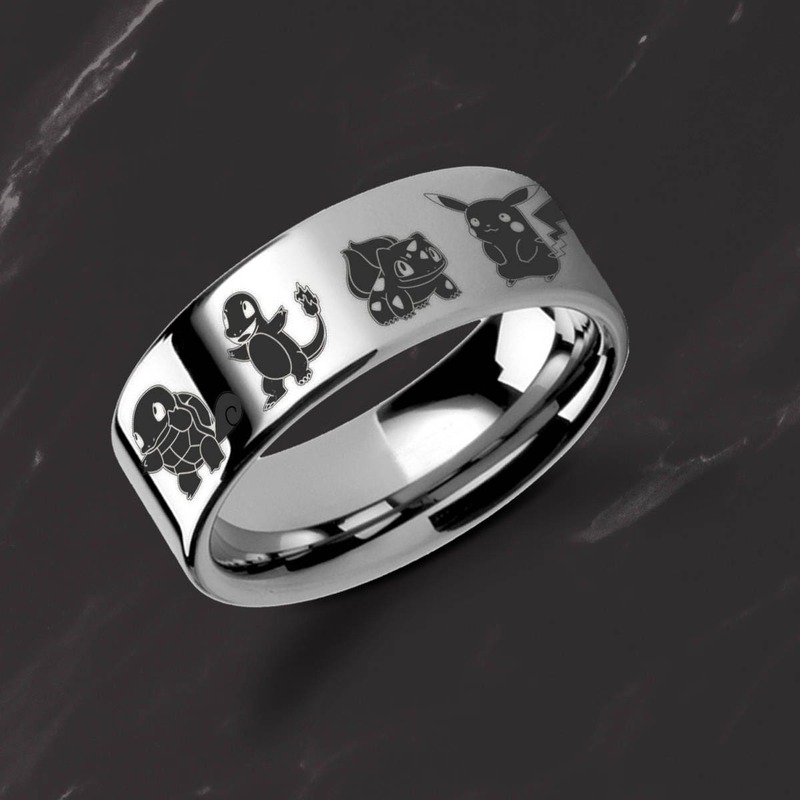 This is a flat polished tungsten carbide ring with a very unique engraving of the classic 4 starter pokemon. 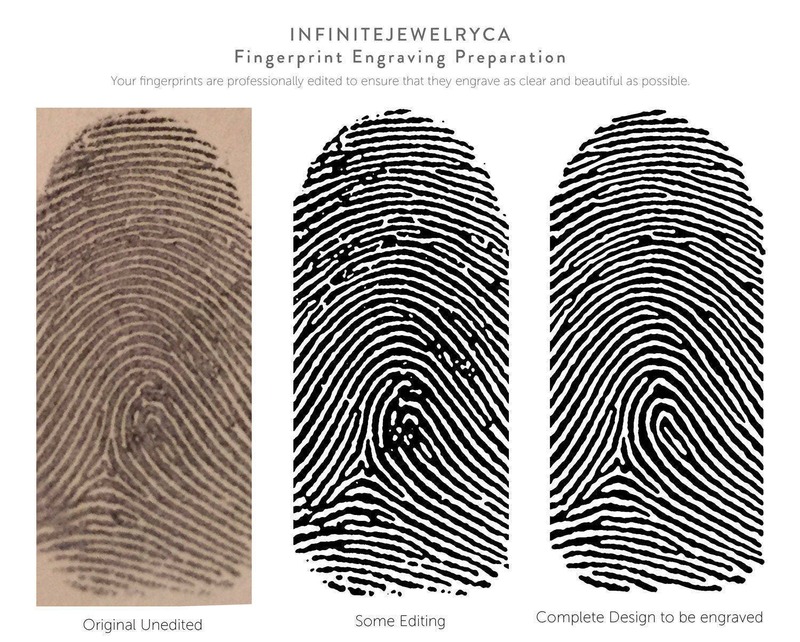 The engraving goes around the entire ring! We repeat all 4 starter Pokemon around the ring, the number of starter Pokemon you get on each ring will vary depending on ring size and width. You can request to have only 4 engraved or even request something else be changed! Feel free to message us. I’m so happy with the way it turned out! This shop was more than accommodating with customizing the ring and got it made and sent to me super quick. I definitely recommend their services! My fiance is ecstatic about his ring. He can't wait to put it on and wear it always! Thank you for your exquisite attention to detail and your communication was on point! Will buy from you again soon! Seller created a custom pokemon design for me quickly. Shipping was super fast. 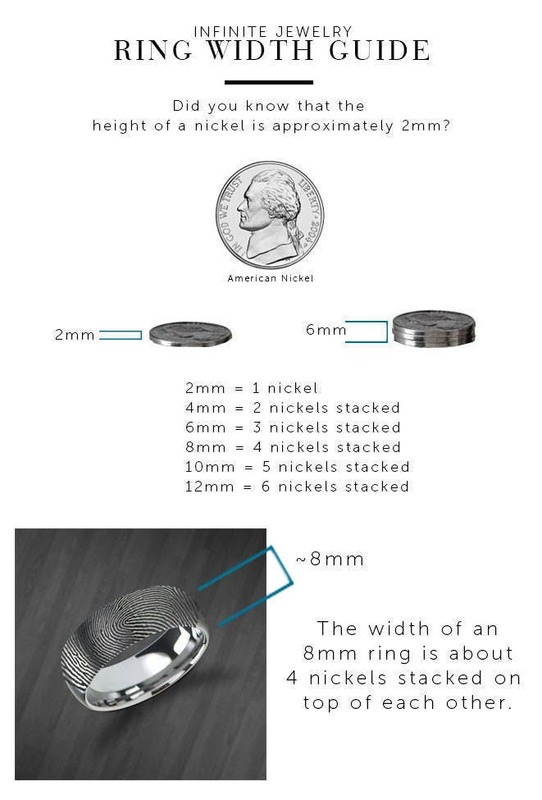 The ring itself is absolutely amazing! Planning on ordering again for future gifts!